The latest business to shine in the “Stasko Spotlight” this week is Circle Fresh Farms. It’s a small company making a big impact in Colorado, but it’s also changing the way an entire industry does business. 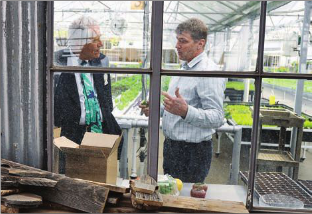 In short, Circle Fresh Farms LLC, based out of Wheat Ridge, is using hydroponic technology and a network of local farmers to promote a new approach to farming. This new approach uses no dirt and climate controlled greenhouses to grow “four to five times” more produce per square foot than more traditional farms, all at one-tenth the water. The Stasko Agency is proud to work with a company on the cutting edge of their industry. The earned media we have been able to secure for Circle Fresh Farms has helped position them as a leader in their industry and assisted in their growth since their founding in 2011. So far, Circle Fresh Farms has been able to secure $900,000 in funding to expand its network of greenhouse growers. 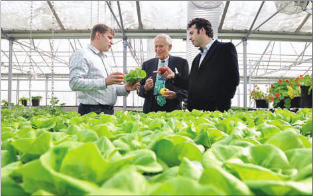 Among our most recent placements for Circle Fresh Farms LLC, is this month’s feature story in the Denver Business Journal, which you can read by clicking here. The Stasko Agency believes in promoting businesses that work toward sustainability and are environmentally conscious. In fact, by helping to promote Circle Fresh Farms LLC, we are also promoting the success of the local growers working with the innovative startup. This quote from Circle Fresh Farms CEO Rich Naha is from our latest release about their growth. This release secured several stories both locally and in newspapers and trade publications nationally. Currently, CFF’s network stretches from Pueblo to Longmont with plans to expand even further in 2013. We are thrilled that we have been part of Circle Fresh Farms’ growth over the past year and even more thrilled to note that last year the company posted a 60 percent growth in revenues and is expected to more than triple that growth in 2013. You can always find the latest news on Circle Fresh Farms LLC at our website, www.staskoagency.com or at their website, www.circlefreshfarms.comwww.circlefreshfarms.com. You can find Circle Fresh Farms produce at area Whole Foods stores, which soon hopes to be able to allow customers to harvest their own produce from store displays. Keep an eye on us to keep up with the latest from this fast growing and innovative Colorado company!